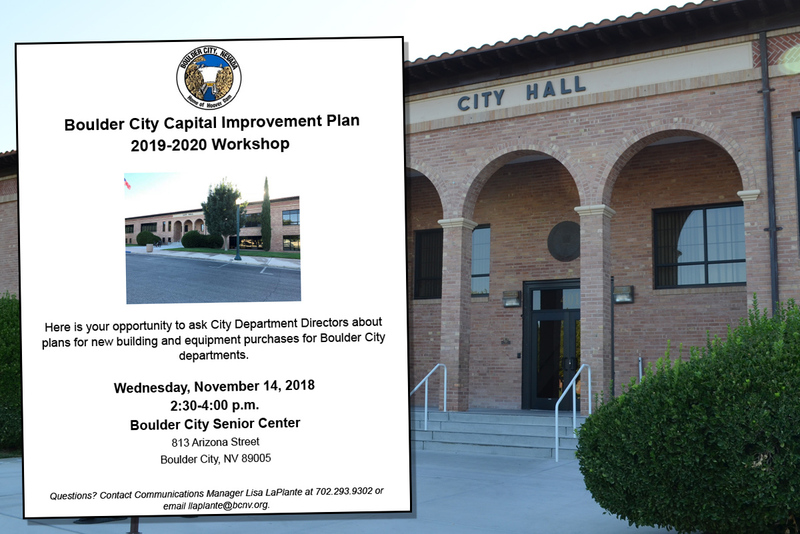 Next Wednesday, November 14th (2018) at 2:30PM at the Boulder City Senior Center will be a workshop where the City will share their plans for both new building and equipment purchases for the various City Departments. We found a link HERE of the City Council Agenda for their workshop and review of the draft Capital Improvement Plan for Fiscal Year 2019 – 2020 for the City of Boulder City, for those who want to dig in deeper. If you can’t attend, send your questions or comments on to the Communications Manager, Lisa LaPlante.